I’m pretty open about my love of local distilleries here in Washington. I’ve written about many, sipped lots of delicious products, and find the people behind them to be a creative, hard-working, friendly bunch of folks. They aren’t folks who are looking to make oodles of dollars, but instead just want to bottle up memorable gins, whiskies, liqueurs, and much more, using as many local ingredients as they can. Sadly, right now, there’s an issue in the Washington State legislature that could spell trouble for a lot of these small businesses. What’s the problem? 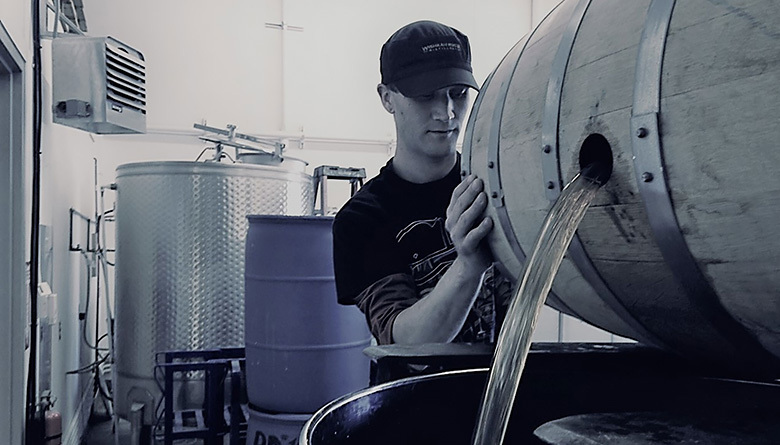 It started with a really good idea, strangely enough, when the Washington Distillers Guild backed a bill, Senate Bill 5549, that was created to help smaller distillers in rural locations—distilleries are mainly family-run, and very family-friendly—attract customers and remain in business. This bill would have made it possible for the distilleries to have two offsite tastings rooms (they’re not allowed any offsite right now) where they could serve mixed drinks to demonstrate how to use their products, and to sell products from other distilleries. It was based on existing laws from other alcohol-producing industries – wineries, for example, can have four offsite tasting rooms. Our local distillery universe, while having a large number of awards under its belt, is still very small in the big booze picture, making up around 1% of total spirits revenue in Washington. The national average for what’s called “craft spirits” (meaning the more local, non-giant corporation spirits, more-or-less) is 3% of the total. In neighboring Oregon, local spirits make up 11% of the total – they allow up to five tasting rooms per distillery, too. So, what do you do if you want to support local distilleries and small businesses? It’s not too late to have your voice heard; you can call your legislator and let him or her know your thoughts about the bill and amendment. Of course, if you also want to pick up some local spirits or liqueurs on your way home or order them next time you’re at your favorite restaurant, that’d be great, too!